The United Nation's food agency and the European Union on Saturday called for global action to protect pollinators, and bees in particular, which are crucial for ensuring food security. 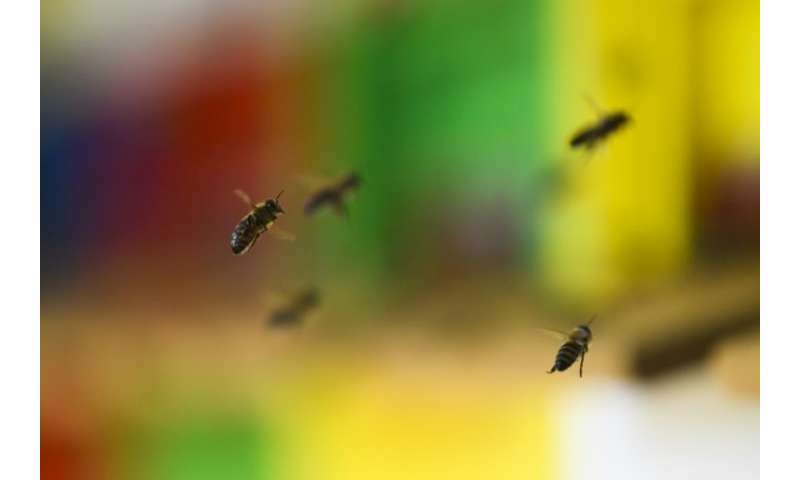 "It is not possible to have food security if we don't have pollinators," the head of the UN's Food and Agricultural Organization, Jose Graziano da Silva, told a conference in Slovenia ahead of the first-ever World Bee Day. Pollinators, such as bees, birds, bats, butterflies and beetles "are responsible for most of the crops and food that we eat," he said. To cope with the impact of pesticides, shrinking forest areas and reducing wildlife, the world needs to find "ways to increase, preserve biodiversity," he said. Bees help pollinate 90 percent of the world's major crops, but in recent years many have been dying off from "colony collapse disorder", a mysterious scourge blamed partly on pesticides. The UN has warned that 40 percent of invertebrate pollinators—particularly bees and butterflies—risk global extinction. EU environment commissioner Karmenu Vella, also attending the conference, announced that Brussels is scheduled to present its action plan to protect pollinators on June 1. "Basically, we'll be addressing the threats, the causes, the consequences but also the actions that we have to take," to protect pollinators and stop the decline of biodiversity, Vella told journalists. "We have to take actions not just in Slovenia, not just in Europe, but globally," he added. Last month, EU countries voted for a ban on the use of three neonicotinoid pesticides in fields, allowing its use only in covered greenhouses where they cannot get into the environment. Graziano da Silva saw the ban as "the right way forward."